The Trump cultists are looking for issues to run on, that is how that group of people operate. They search for ways to ply their hate, they won’t make any headway in 2020 – 2022 is too far out to take a guess if they can win some seats back. I’m also a bit confused on how you can have a likely voter screen in February that is at all relevant. That seems to me to try to ensure a more conservative polling population. 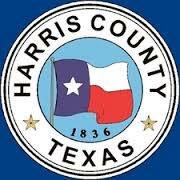 They should just rename themselves the Houston Republican Business Coalition. Good catch on the survey question comparing rail to “free” bus service and that being left out of the write-up of the results. Ragnar, as in Ragnar Lothbrook ? CL, honestly, it makes me think of Ragnarok, which I know can’t be right but is surely more entertaining that the reality.